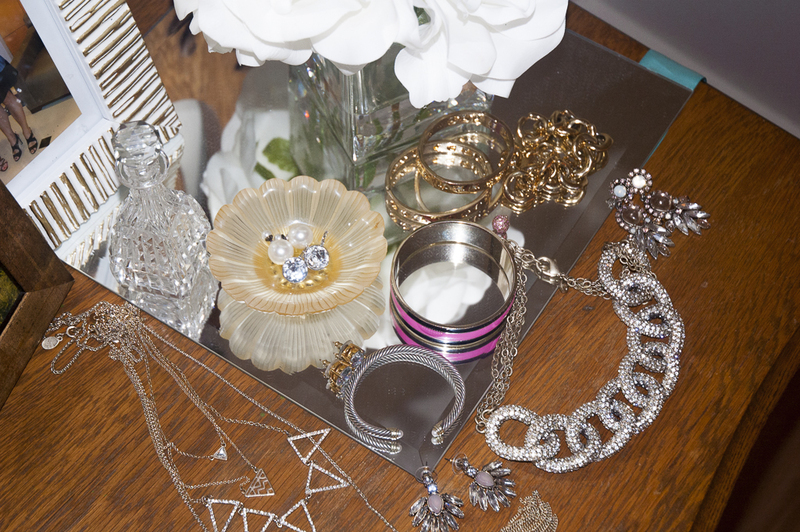 Over the years I have developed a love of accessories. Previously my jewelry approach was minimal, but now I believe that the right jewelry can take an outfit from nice to incredible. 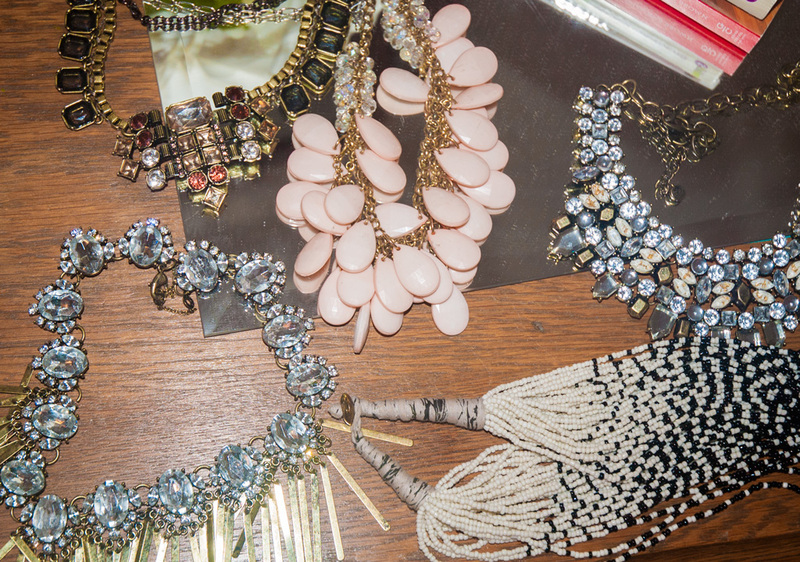 Earrings, statement necklaces, dainty necklaces, and bracelets… how to choose? 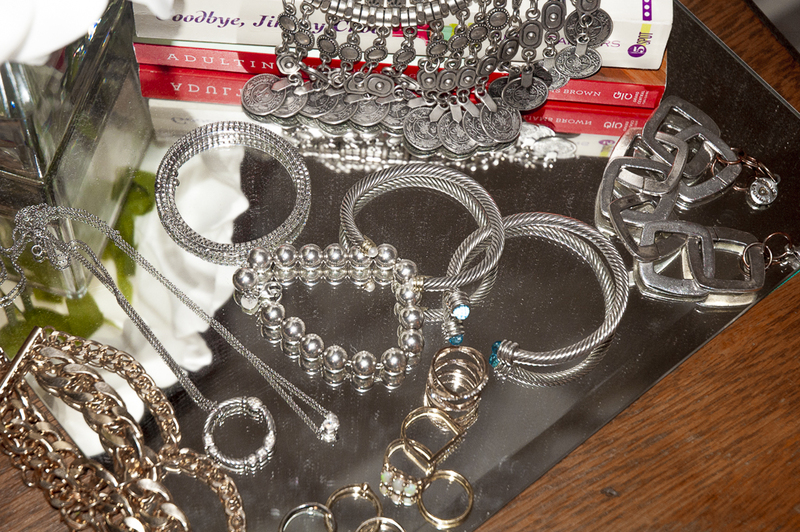 It can be tricky to decide which piece or pieces will look best with a certain outfit. When do you wear larger pieces and when do you where the smaller ones? A simple rule for starting out is if the outfit is busy (big print, ruffles- keep your jewelry simple and vice versa) Editing is also important; it never works to be wearing too many large pieces. So if you want to wear the statement earrings, leave that big necklace at home! I have found that it’s easier to start with smaller pieces and begin layering them. I love the short paired with the long, it is another way to add layers to an outfit. There are not specific rules for layering necklaces; you can add as few as 2 or many, as long as the lengths are different. The most that I have layered is 5. 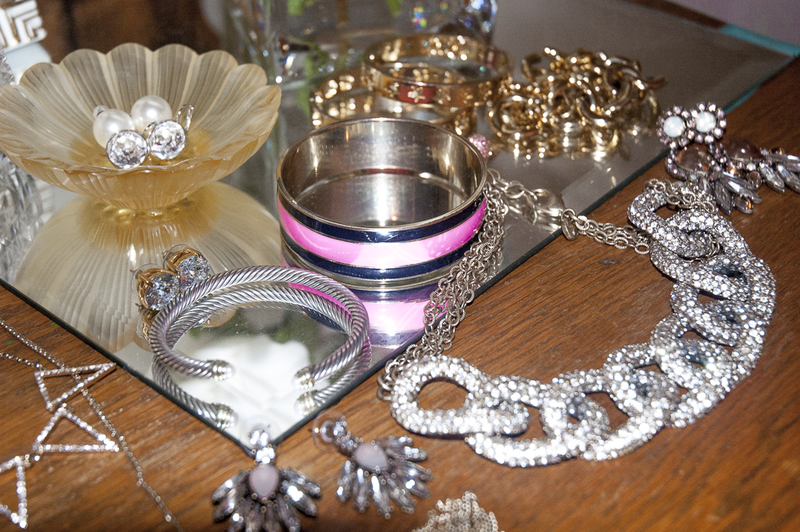 I have blogged previously about mixing metals, which can also be done. 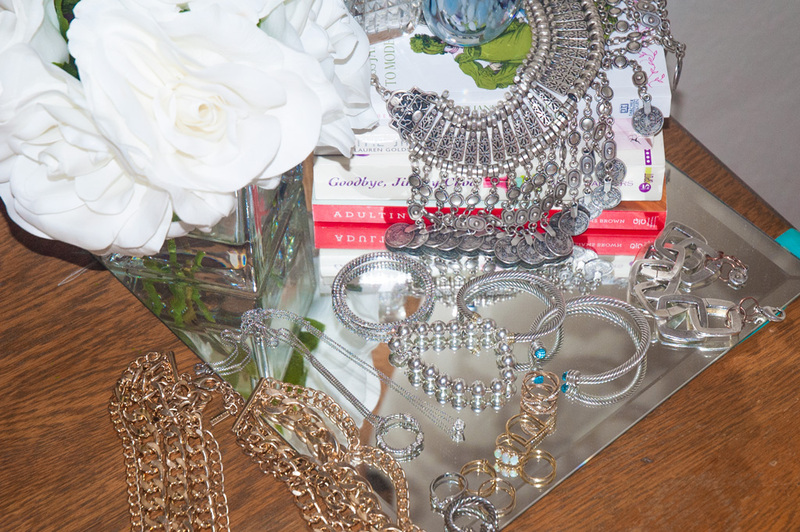 When it comes to statement pieces there can be many different sizes. Everyone thinks “big” when the word statement is used, but I have statement necklaces that are also more of a medium size. It’s really about how much impact the piece has. 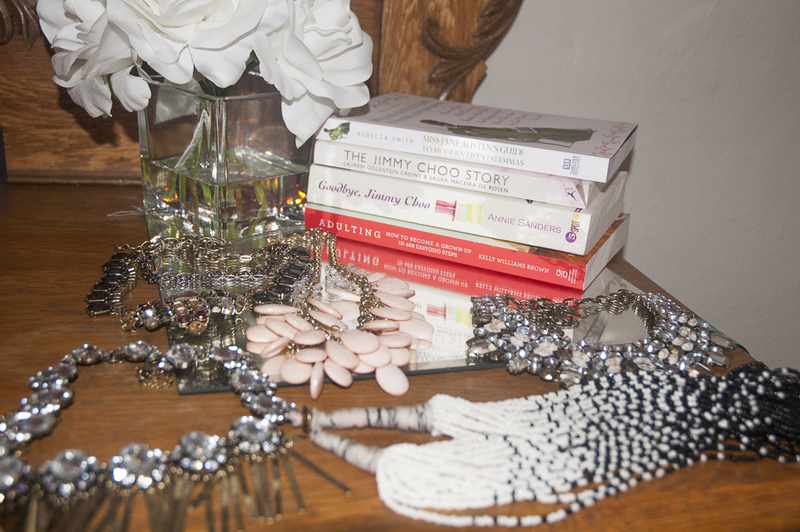 I have a few pairs of “go to” earrings that I wear all the time, my Kate Spade studs and Swarovski belle’s. They go with everything! Do you have a “go to” pair of earrings? 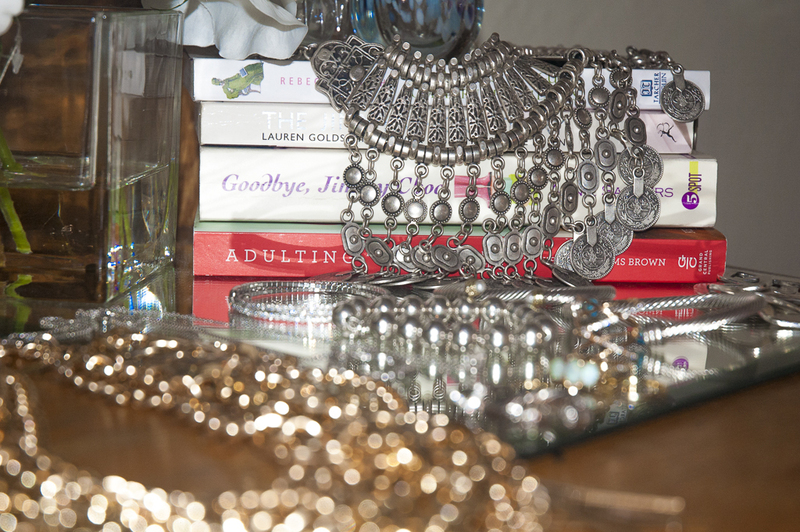 Not everyone wears statement earrings because they tend to be heavy. Start with a pair that are just a little larger than your biggest pair and you can grow in size from there. Bracelets have been worn since Egyptian times. In the 17th century European women started wearing bangles, often wearing several at a time. So if you are nervous about layering pieces, this is the easiest place to start. Similar concepts to layering necklaces can be applied to layering bracelets by mixing metals and instead of length mix different widths. By adding one new piece at a time, you can change up your jewelry look to give you more options and a truly personal style.